Discussion in 'Australia' started by GSnovice, Sep 12, 2018. GSnovice Beer me up, Scotty! Celebrating its 40th anniversary, The Cane Toad Rally will be held at the historic Nindigully Hotel (GPS: -28.35453 , 148.82079) 158 Km west of Goondiwindi and 46 km south east of St. George on the Sept./Oct. Long Weekend, 29/30 Sept. The rally is open to all motorcyclists. Sealed road access from Brisbane and NSW. Grassy campsite beside the Moonie River. BYO food or enjoy lunch and dinner at the Hotel, where there is also limited accomodation available. Weldr, Angry Pete and toecutta like this. Will there be a 'Lemming Run'? Only if you promise not to piss on RTO! I remember this at Finch Hatton Gorge near Mackay. That was a while ago. Weldr and Angry Pete like this. Before Finch Hatton, wasn’t it at some big reservoir (a bit further west) for a year or two? Was it Eungella? Yep, the first couple of rallies, in 78 & 79 (& maybe 80?) were held out at Eungella Dam. It wasn't till after the first event (run as a club members' gathering), that the club decided to run it as an annual rally & came up with the name "Cane Toad Rally". It was the same weekend as the Retreat Rally near Nebo during the mid ‘80s. Great memories and some not so Great. ( like beiong chased across cane field by the coppers on my CX 500. That didnt end well. Dee Cee and mcguyver like this. Yes if you were keen,and we were, you would go to both, at that age it meant a couple of good hangovers and great rides with mates. Still have the great rides with mates but a little less of the big hangovers. It was in ‘85, can’t explain the ‘84 Retreat badge, fun times! I went up once, about 1980. As it happens, I'll be out St George way next week so will probably drop in Saturday. Big Willy and Angry Pete like this. 11 Years running, every easter weekend was at Finch hatton, no other choice really. 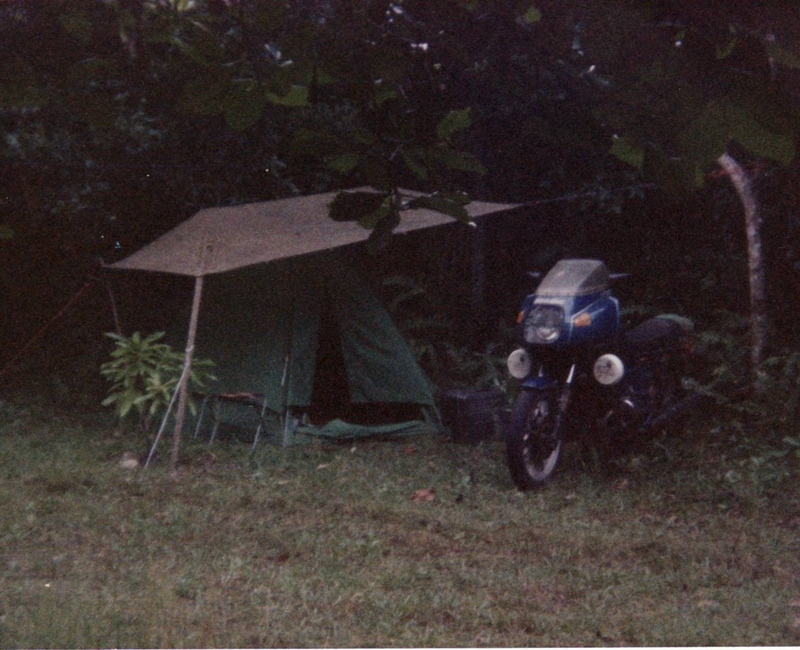 Camped at the toad (Kenmore or "upper glad bag heights estate"), still have this bike, early '80's. 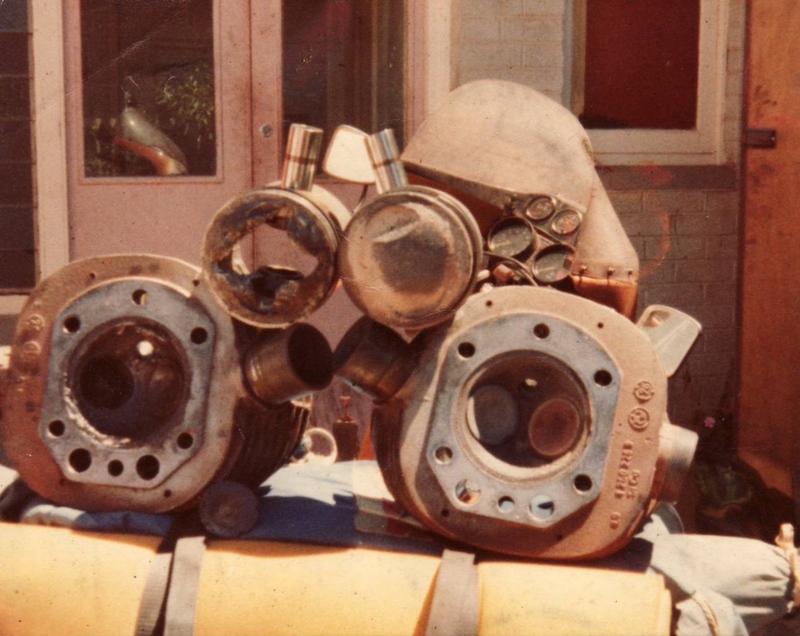 On the way to the toad in '82, Port Hedland WA, my poor R90mess. Cruz, GSnovice, Mouse and 1 other person like this. Those were the days. Low flying across the country going to a rally. 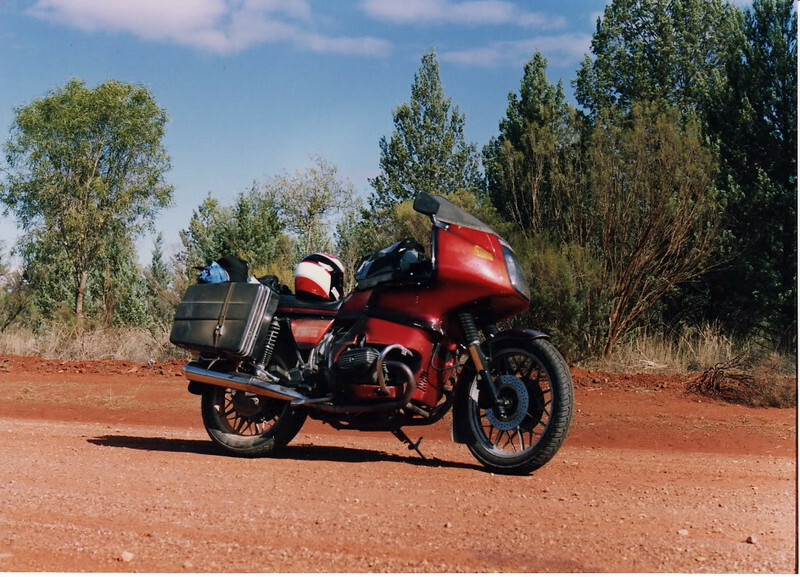 I had the R100RS sitting on 140kph, making good time to the Cane toad rally. An the centre of the clutch stripped at Taroom. Twas a long bus trip back home. Left Perth mid morning Wednesday (late finishing an airhead build). Thurs night in Kimba, Fri night at Moonie (Qld). On schedule to get to rally by Sat night. Fournales air shock went down on me by Wowan. A ride in a ute to someone's parents house in Rocky where I left the bike so I could hitch up to Mackay/Finch Hatton. No traffic Easter Sat night so grabbed a cabin in van park & caught (Greyhound?) bus to Mackay on Sun morning then 80+ km taxi ride to rally site. Got there half hour too late to get Hard Luck Award. Had a good night with friends at the rally on Sunday night (got slightly pissed) then gave Andy-Gadget a hand to clean up rally site on Mon morning. Got a lift in Andy's kombi to Rocky where I swapped shocks from the Gadget bike (on trailer behind kombi). Rode to Brisbane, bought a pair of shocks and a couple of days later rode down to first Moto GP at Phillip Is. Magic weekend! Weldr, GSnovice, Angry Pete and 1 other person like this. I was at Andy Gadgets place yesterday. He is still living up to his nick name in a BIG way. Heading into Finch Hatton Gorge for the 1985 Toad. Living Port Douglass at the time and rode down with this lunatic (Ducati 750GT - I rode an SS750 at the time). Catchya.